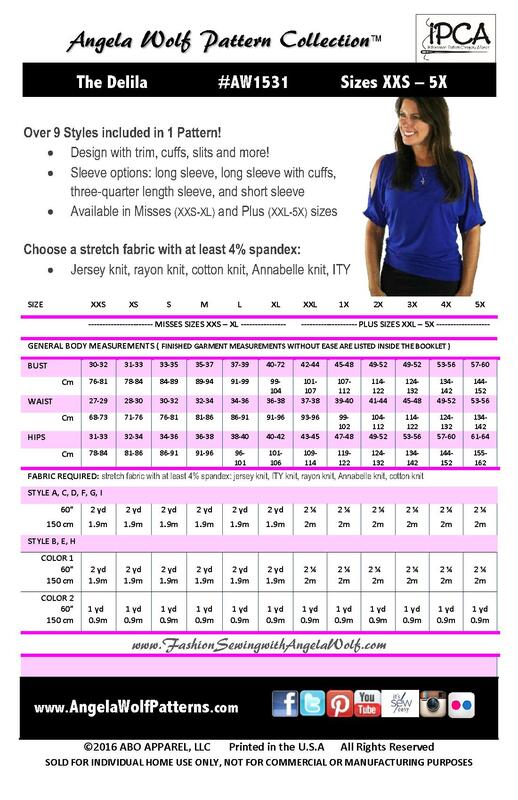 This is the print version of the pattern with a spiral bound booklet and quality paper pattern. Click here if you would like the downloadable version. 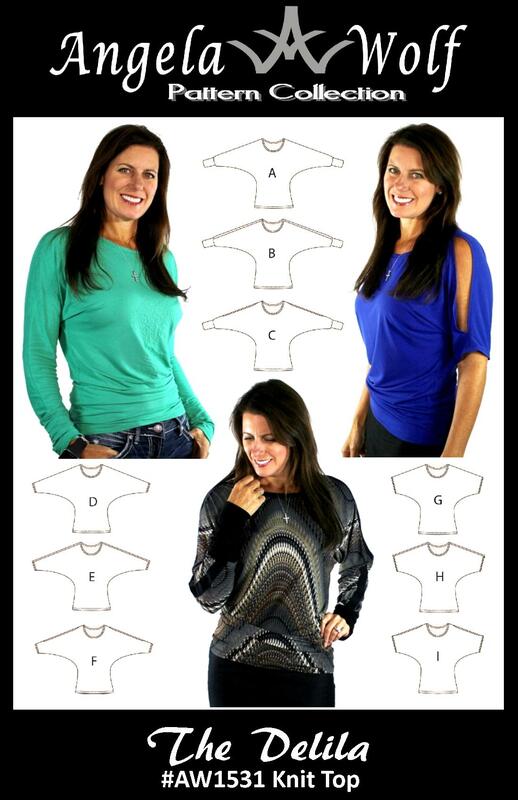 The Delila This trendy knit top that looks fabulous on everyone! 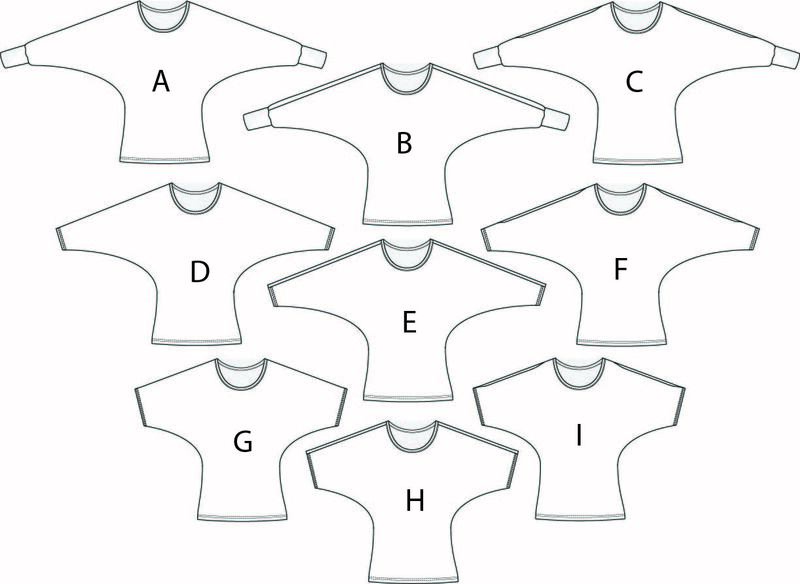 There are 9 variations to sew or serge and can be completed in an afternoon. Perfect for beginner's wanting to learn to sew with knits! I had been waiting for this patter to come out for such a long time. It was well worth the wait! I have used a couple of similar patterns in the past, but was always unhappy with how they turned out. This pattern, however, fits me perfectly (size S) straight out of the pattern envelope and the sleeve is exactly how I wanted it to look like! Next time I may reduce the seam allowance and put it together on my serger. I tried the long sleeve version and totally love the cuff detail! I am going to make this in several different colours, I have already got the fabric for it. I seriously cannot say enough good things about this pattern. Well done and thank you, Angela!